Let’s be the Green Ambassadors! Let’s Bring a Change! Swachhta Pakhwada was celebrated with great zeal in our school .The Green Brigade of the school is spreading awareness amongst the masses. The students are visiting various NGOs to inculcate the value of health and hygiene in their lives. They are creating awareness about the importance of having ‘Twin Bin System’, ill-effects of using polythene, plastic and foil papers. Posters have been placed in the halls of ivy to fabricate the importance of healthful living. We have set up a ‘Compost Pit’ in our school to recycle the green waste of the school to change it into manure. 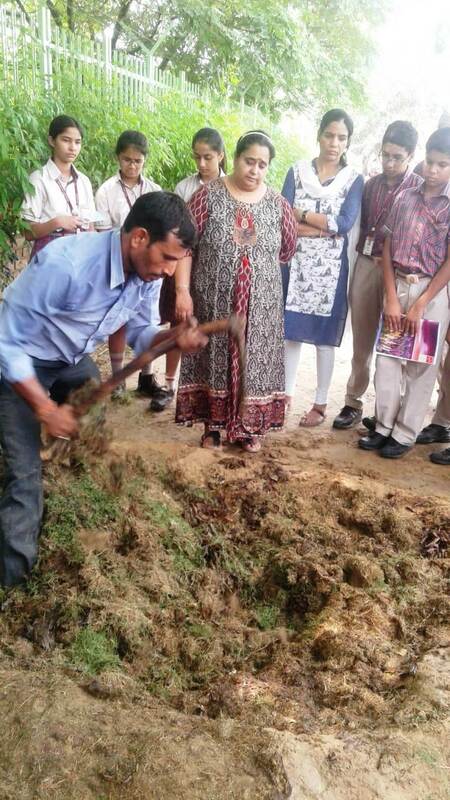 For setting up this pit, the Scientist from IARI, PUSA personally visited our school and trained our students. To develop the general sense of cleanliness and hygiene, Street Plays were also staged at different places. The Green ambassadors took the ‘Plantation Drive’ and spread greenery from school to the entire city. We know with this pragmatic move our children will definitely bring a positive change in the lives of many. Always remember every step taken in right direction counts!